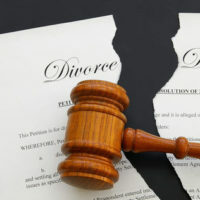 In Florida, when a divorce is contested, it is subject to Florida’s equitable distribution laws, which means the courts start with the premise that distribution of marital assets are equal. When dividing property, the judge considers the date the asset was acquired. If the asset was acquired before marriage, the asset may be non marital. If the asset was acquired during the marriage, the asset is likely a marital as set, subject to equitable distribution. When devising divorce agreements, most people do not think to divide up liabilities. However, liabilities are just as important to consider as are assets. Florida courts determine who takes responsibility for debts and other liabilities in much the same way that they determine who gets what assets—by considering the date the liability was incurred. When you work with an experienced Boca Raton divorce lawyer, you can better understand how the courts divide assets and liabilities and therefore, take proactive measures to protect your financial interests. To learn more about how a skilled attorney can help you keep divorce costs to a minimum, contact WiseLieberman, PLLC at 561-488-7788 or online to schedule your initial consultation today.